Republican contenders who have had so very much to say against Planned Parenthood were largely mum after Friday’s deadly violence. Martin Luther King dedicated his life to love and to justice between fellow human beings. He died in the cause of that effort. In this difficult day, in this difficult time for the United States, it’s perhaps well to ask what kind of a nation we are and what direction we want to move in. For those of you who are black—considering the evidence evidently is that there were white people who were responsible—you can be filled with bitterness, and with hatred, and a desire for revenge. We can move in that direction as a country, in greater polarization—black people amongst blacks, and white amongst whites, filled with hatred toward one another. Or we can make an effort, as Martin Luther King did, to understand, and to comprehend, and replace that violence, that stain of bloodshed that has spread across our land, with an effort to understand, compassion, and love. For those of you who are black and are tempted to fill with—be filled with hatred and mistrust of the injustice of such an act, against all white people, I would only say that I can also feel in my own heart the same kind of feeling. I had a member of my family killed, but he was killed by a white man. Kennedy did not know all the details regarding Dr. King’s assassination. The candidate was cautious in some of his language. Yet, he delivered a clear and compelling statement that was credited by many for easing tensions and encouraging a sense of connection and solidarity. As the six-hour standoff ended in Colorado with the arrest of the alleged shooter, social media were filled with responses to the news of the violence that left nine wounded and renewed concerns about violence directed at clinics. This is an age of instant reaction. And even if there were still many questions that could be asked regarding the motives and actions of the shooter, there were also things that could be said. Former secretary of state Hillary Clinton, a steady defender of Planned Parenthood, was quick to declare on Twitter: “Today and every day, we #StandWithPP.” Clinton linked her comment to a statement from Vicki Cowart, the president and CEO of Planned Parenthood Rocky Mountains, and to news coverage of the unfolding story. But what of the Republican contenders who have had so very much to say against Planned Parenthood? Billionaire Donald Trump, Dr. Ben Carson, and the rest of the conservative crew that is usually jostling to be first and loudest went suddenly silent Friday night. For the most part, they remained silent into Saturday—as least with regard to a violent incident that dominated the national news and kitchen-table discussions. Aside from Cruz and Kasich, the usually noisy Republicans had very little to say about the Colorado shooting or Planned Parenthood. Their silence was broadly noted. It’s not as if the Republican candidates had nothing at all to say. Florida Senator Marco Rubio was hawking clothes with his campaign’s logo—“Stay warm this winter with our new cold-weather bundle. Shop now and save!”—and declaring his continued opposition to Obamacare. Trump, the front-runner for the GOP nod, was tweeting polling data and announcements of a Florida rally. He even found time to continue griping about New York Times reporter Serge F. Kovaleski—while at the same time denying that he mocked the appearance of a journalist with a physical disability. 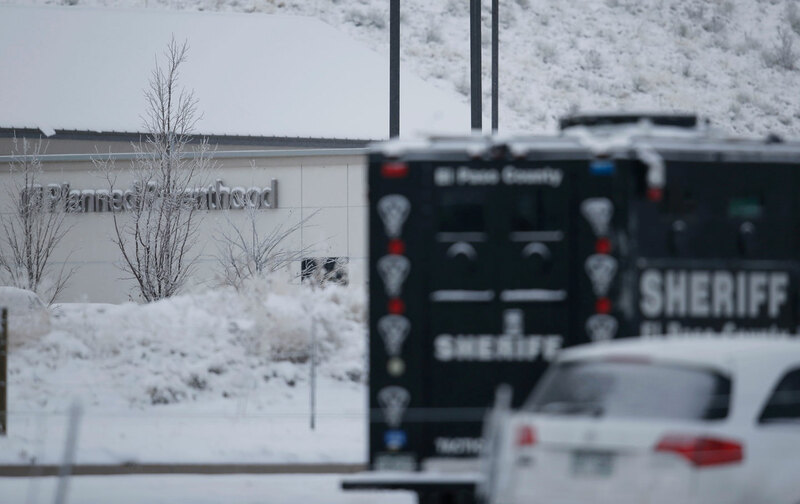 But there were no mentions of the latest attack on a clinic run by Planned Parenthood—an organization that the Republicans have stumbled over one another to condemn with clockwork consistency, an organization that has been a major topic of Republican debates. There was no presumption that Trump or former CEO Carly Fiorina to rush to declare they were standing in solidarity with a group they have regularly savaged—often with casual disregard for the facts and for the role Planned Parenthood clinics play in providing a wide range of health services. But was there really no place for an immediate expression of concern for the loss of life? For recognition of the service and sacrifice of a slain law-enforcement officer who happened to be the co-pastor of an evangelical church? For conveying an understanding of the distress experienced by people of all political views in Colorado Springs, and across America? No one expects opponents of abortion rights to change their position in a circumstance such as this. But it is reasonable to expect a caring response in a traumatic time—even if the immediate response is nothing more than an announcement that the candidate is monitoring troublesome reports of violence leading to multiple deaths in an American city.